The condensed water droplets on my cup reflected the white fluorescent light above me. I noticed the array of tiny circles and the patterns they had formed. 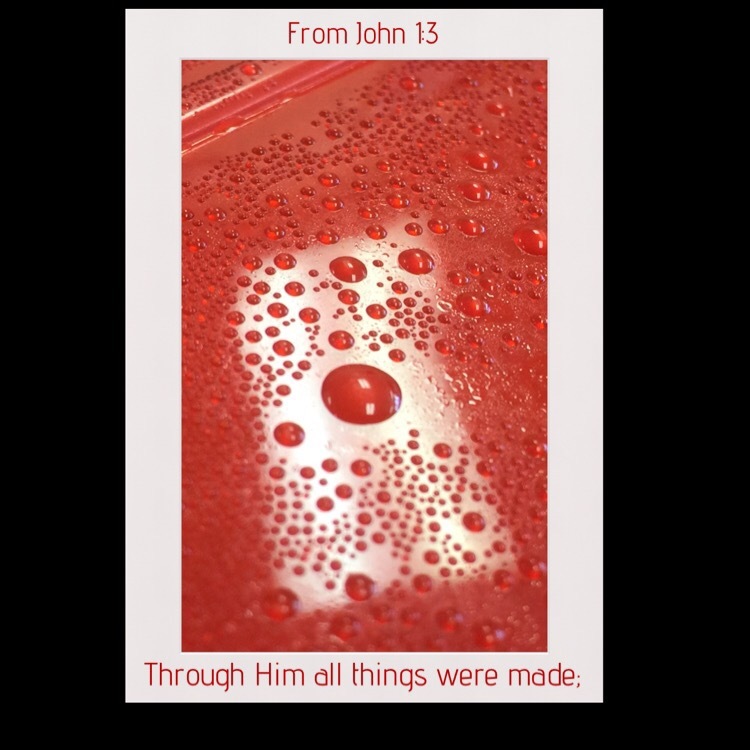 Through Jesus, all things were made. Through Jesus, all people have the perfect opportunity to live with Him forever. When you look around, you will see how amazing our God is! Yes! I love just looking at nature and all the things around me, realizing that God made them!